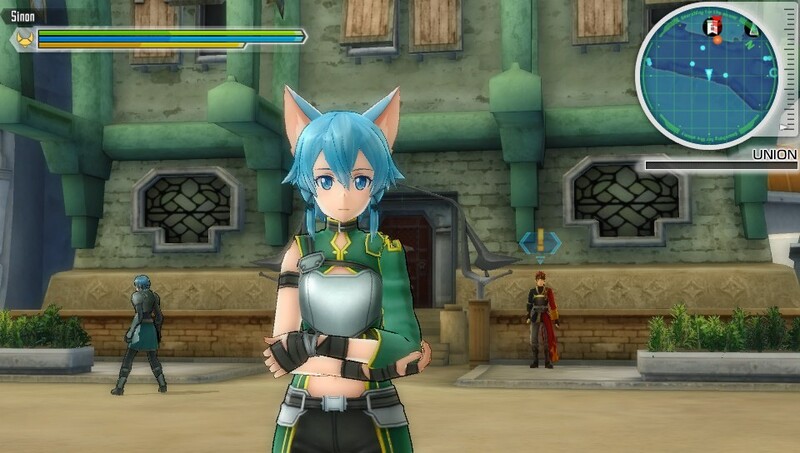 Sword Art Online Lost Song is a direct sequel to Sword Art Online Hollow Fragment, like Fairy Dance follows Aincrad. But much unlike the anime, the transition between the two stories is too brief and awkward, without even the smallest explanation on how Strea and Phillia could have landed here. That is not the only problem regarding the narrative, because the scenario, fully original this time, is plain and dull from A to Z. The new characters Seven and Sumeragi don’t have that much screentime, let alone relevant background, and aren’t playable before the very end of the game (Seven even needing an update for that). Rain, who use double-sword skills like Kirito, joins the group around half of the game and is better integrated in the story. Cool thing since her fighting style is the most dynamic. The story develops very late and you come to know what’s really behind those three after hours of meaningless chit-chat. And even there, you don’t even remotely have a sense of epic like in Hollow Fragment. 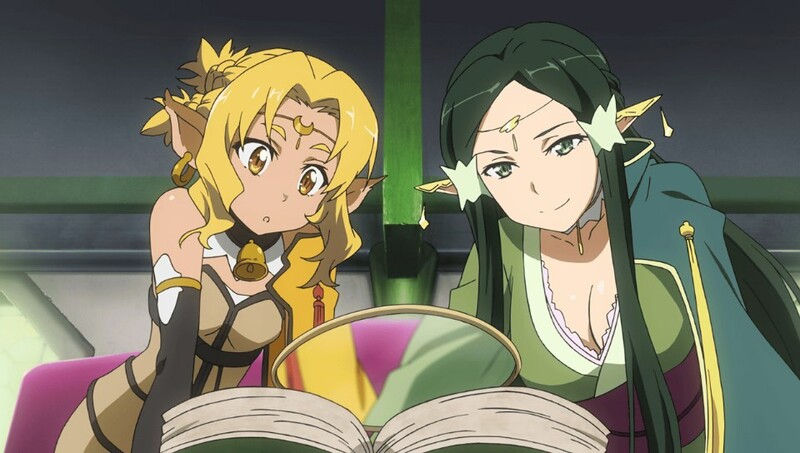 Sword Art Online Lost Song in fact suffers from the same issue as Fairy Dance, a steep drop of narrative pace and intensity. This adds boredom to a less than exciting exploration. 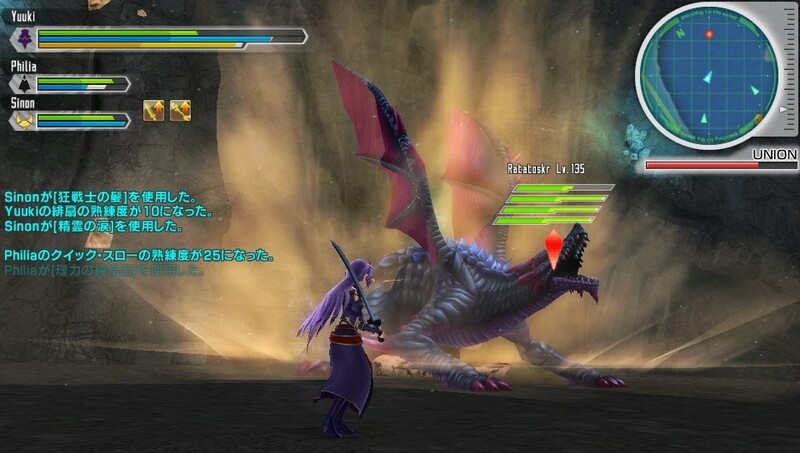 Sword Art Online Lost Song might be an open world, this is nothing to discover in it : all objectives are marked on the mini-map and there is no side content other than basic hunting quests. The whole game rehashes the same progression frame that is dungeon → mid-boss → dungeon → boss without any kind of variation. There is nothing for the player to have a change of air. Dungeons as well as music start being a little more interesting in the last environment, which a lot darker with disorientating mazes. 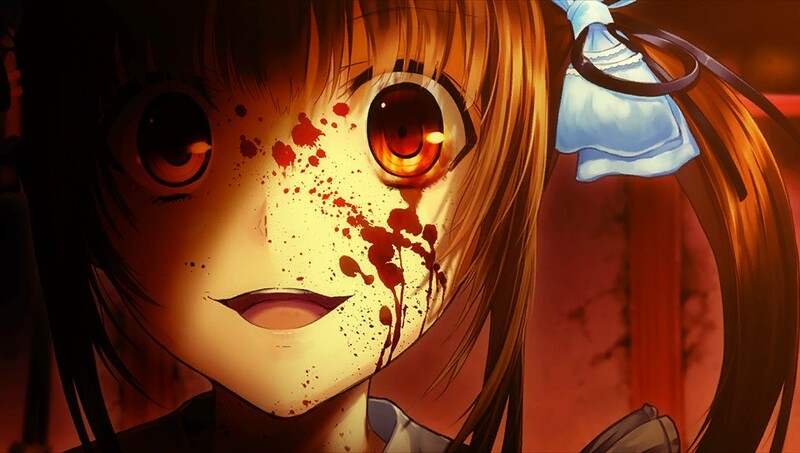 Worse, character stories warp you directly in the right place, whitout any need of searching, although you did have to look for a way in Hollow Fragment. We’re far, so far from the complexity and the scale of the fantastic Hollow Area of the previous game. You’ll have to make do with the numerous playable characters of this entry. Whereas you were stuck with Kirito all along in Hollow Fragment, this time you can play as nearly 20 characters like Shinon, Sakuya, Yûki and an elf coming from nowhere called Lux. 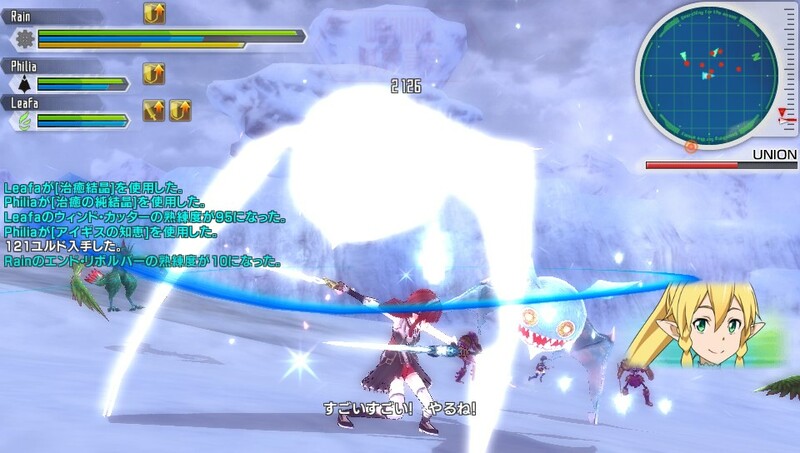 Various combat styles are available depending on which weapon you choose, and are different enough to each other to ensure a nice variety of gameplay. The bow for example makes up for its weak attack power by enabling precise strikes so as target the enemy’s weak point more often. Attack and support magic also appear with this new universe and add a wide range of combat possibilities. Each weapon also has its own unique skills, including the famous Mother’s Rosario, vastly powerful but impossible to use before you reach a high number of MP! The battle system still seriously lacks polish. The camera is flawed and makes the fighting nightmarish in cramped environments. Locking targets is a pain as the lock would change target without notice. 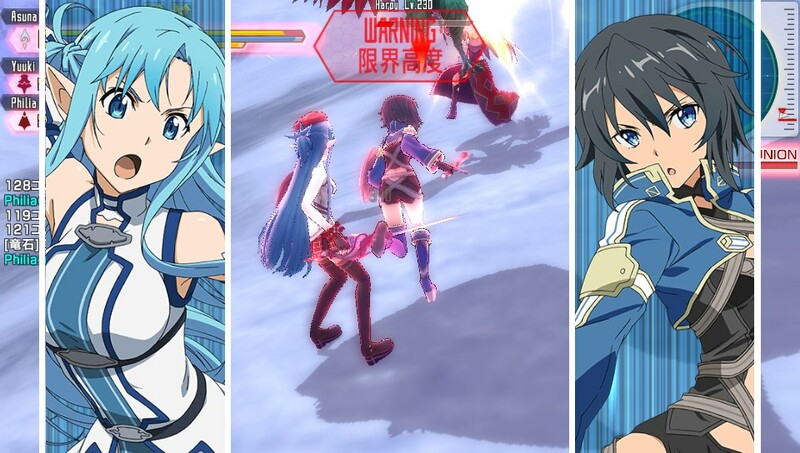 The switch has been completely ruined : it’s common to fail it despite hammering te right buttons, and it is nothing spectacular compared to Hollow Fragment… As he series jumps into ALO, aerial battles are introduced in Sword Art Online Lost Song. The controls are not bad but need a great deal training to regulate altitude and speed. Even with those additions, boss battles feel really underwhelming compared to the previous one, not being as difficult or crucial in the narrative. I’m the first to be sorry about it, but Sword Art Online Lost Song does not take the series in the right direction. It’s cool to have all those new characters but the game in a whole loses nearly everything that made Hollow Fragment great. This sequel feel like a licensed game without fresh ideas, let’s hope that BandaiNamco will rethink it entirely for the next entry. 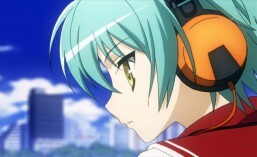 This entry was posted in review and tagged anime, jrpg, namco, psvita, sword art online. Bookmark the permalink.